You have the right to be presumed “innocent until proven guilty.” You may indeed be innocent. It’s entirely possible. But you do not want me on your jury. As soon as I heard the first charge against you — child molestation — I mentally declared you a creep and a criminal. I’ll bet other potential jurors thought the same thing. But no one said a word when the district attorney asked if anyone would have difficulty maintaining an open mind. Perhaps it was the fear of piping up in a deathly quiet courtroom full of people. The D.A. revealed more details of the case and I remembered news coverage. When he asked if anyone remembered this coverage, I stood up. When he asked if I could remain impartial, I said I’d try. Your attorney asked the same question, then wanted me to elaborate. I had to be honest. You’ll remember that I said, “I have two kids. My husband and I always talk about the fact that if someone did something to those kids, we’d be in court ourselves.” Of course I meant jail first for attacking the attacker. Was I really the only one who felt this way? Your attorney seemed shocked. Sorry, dude. You have the right to an impartial jury. Yet, I had already beaten you to a pulp in my mind. Your attorney was wise to excuse me. I want you to know that I cheated on you with paper. I read magazines by turning real pages. I carried books around in my bag, and did not worry about also carrying a charger and trying to find an outlet. I had face-to-face conversations with actual humans. I know we never said we’d be exclusive, but I still felt guilty every time I had a tangible experience. A very good friend emailed me to ask me what her husband’s cell phone number was because she had left her cell phone at home and couldn’t remember his number. I relied on you (in the form of iCloud) but you failed me and managed to lose half the numbers in my address book. His was one of them. I had to call Eddie to get the husband’s number, which Eddie texted to me. And then I emailed it to my friend. Remember the days when we didn’t need you to remember numbers? I bet you are feeling really proud of yourself right about now. Anyway, even though we are back together, I want you to know that I still value my independence. I can’t have you all over me all the time. It’s not you, it’s me. Sometimes I need a little time to myself, time without you. I hope you understand. I’ve been reading your “column” for a little while now. I realize that our local paper is not quite The New York Times, but there are many excellent writers and columnists on staff. So, I have expectations. I keep expecting that your column will get better, more interesting, less meandering. It doesn’t. The paper has been running your column for about three years now, I think. I know it must be tough to find something fresh to talk about on a regular basis. Believe me, I know. Sometimes I can barely maintain this blog. You really can’t go on this way, though. Today’s column might have been the worst yet. It had no point whatsoever and smacked of deadline desperation. Plus, it was long. Way too long. It could have ended at the headline, in fact. Figure out why you are writing. What is your purpose? What is the main point you want readers to take away from your column? Do you want to inform? Motivate? Entertain? Pick a tense and stick with it. Today’s column featured past, present, future, past progressive and future perfect — all in the same paragraph. If you are going to name-drop, use names recognizable to most people. 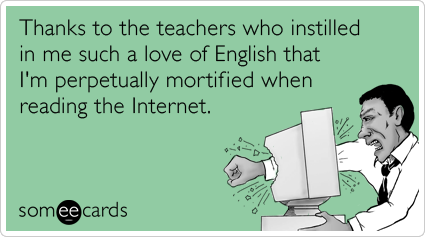 I didn’t know whom you were talking about half the time today (and I didn’t care enough to Google). Make sure your work has a clear beginning, middle and end. Each paragraph should build consciously on the prior. Your work should flow. I want you to succeed. I know you have some good ideas; it’s the execution that needs finesse. If you improve, we readers benefit. Thank you. It is because of you that certain posts on my blog continue to earn attention. 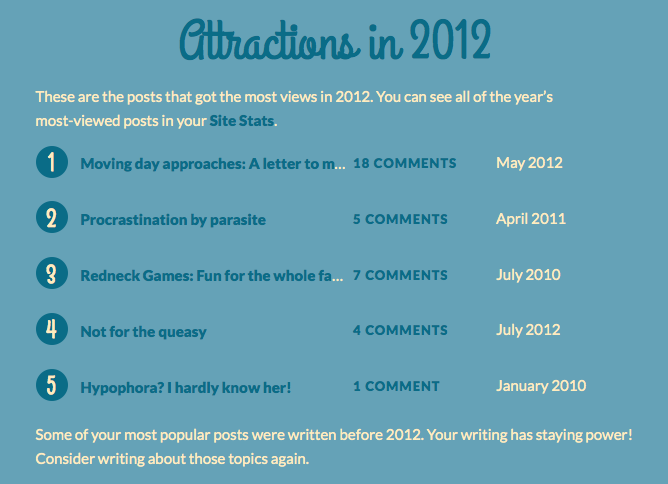 For the second year in a row, parasites and rednecks continue to be the main attractions, according to my WordPress annual report. That sounds about right. The top posts have nothing in common with each other. So the people who come looking for rednecks are probably not the ones who look for parasites. I could be wrong. There could be people out there with the same odd interests I have. WordPress suggests I write about these topics again. Maybe. I guess you can never have enough parasite posts. You sickos like me would like that, wouldn’t you? In layman’s terms, he is suffering from an infection with a type of Schistosoma parasite that led to high blood pressure in his portal vein system and enlargement of the spleen. 4,329 films were submitted to the 2012 Cannes Film Festival. This blog had 36,000 views in 2012. If each view were a film, this blog would power eight film festivals. It’s the new year and, as always, I have a plan. I’m not big on the typical resolutions, though, because they are, well, typical. Here is what I plan to do in the new year. 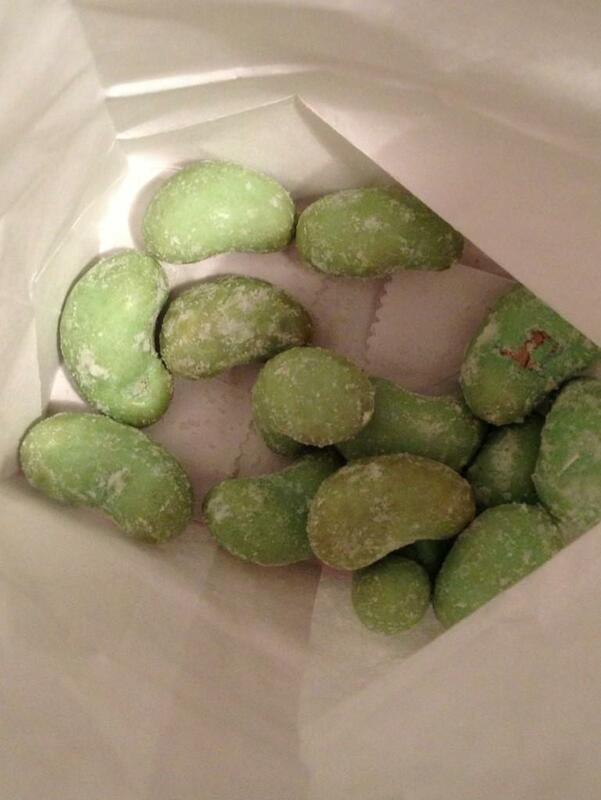 Gorge myself on wasabi cashews until I am sick of them, then swear off them for the rest of the year. Kiss someone every day. This is likely to be Eddie and/or the kids, but I’m leaving myself open for Johnny Depp-related opportunities. Tell Eddie I love him every day because he puts up with comments like the above. 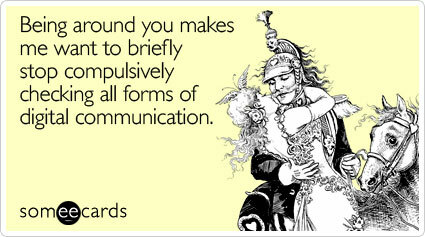 I’ll do this every single day, even if I’m mad at him (in which case I will hiss it through gritted teeth). Refuse to be ashamed that my favorite song right now is “What Makes You Beautiful” by One Direction, and I’m a little bit fascinated by Harry Styles. Record my children recreating a “Saturday Night Live” skit featuring Will Ferrell as Harry Caray. Focus on the positive student comments instead of the one cranky one. Keep candy in my office to elevate visitors’ moods. I think it’s a short, interesting, eminently doable list. actually go out for drinks/dinner with my friends Matt, Pam and Kathy instead of just talking about it. What are your not-so-typical resolutions? I’d love to hear from you. Welcome! I am happy to see you. Your predecessor, 2012, was a tough character in some respects. Although I am pleased you are here, I’m a little worried about your plans for me. The first day I spent with you was not one I’d like to repeat. The day started out great in the North Georgia mountains hanging out with good friends, but ended in a roadside ditch (well, nearly). So 2013, I really hope that this is not indicative of our next 364 days together. I’d like joy, peace, health, and more money in my savings account than I ended with last year. If you could make that happen, then I’ll forgive your behavior on Day 1. Thanks, and I’m looking forward to spending a great year together!